In my nearly 20 years making visualizations at NASA’s Scientific Visualization Studio, “Argo Sun”— a simultaneous view of the Sun in various wavelengths of light — is probably one of my favorites. It is not only scientifically useful, but it’s one of the few products I’ve generated that I also consider artistic. And like so many things, it didn’t start out with that goal. Some visualization products are the result of meticulous planning. But many, like Argo Sun, are the result of trying to solve one problem and instead stumbling across a solution to a different problem. This is its story. In mid-2012, NASA’s Heliophysics Division was preparing for the launch of a new solar observatory, the Interface Region Imaging Spectrograph, or IRIS. The mission was designed to take high-resolution spectrographs of the Sun to study the solar chromosphere, the layer just above the Sun’s photosphere, or visible surface. Scientists hoped IRIS’s data would contribute to solving the coronal heating problem, a long-standing mystery of solar physics that asks why the temperature at the photosphere — 5,770 Kelvin, approximately 10,000 degrees Fahrenheit — rises to millions of Kelvin just a few thousand kilometers higher. Sandwiched inside those few thousand kilometers is the chromosphere, where IRIS would make its observations. I was involved in producing visualizations for the IRIS mission pre-launch package, which would demonstrate the scientific value that IRIS would add on top of existing data. I sought out the best data we had on the chromosphere, which came from NASA’s Solar Dynamics Observatory, or SDO. Launched in 2010, SDO takes continuous, full-disk images of the Sun, producing terabytes of data each day. It would be the best starting point for singling out the solar chromosphere. But the solar chromosphere is very thin. At only about 3,000 kilometers thick, compared to 695,700 kilometers for the entire radius of the Sun, it is about 1/2 of a percent of the Sun’s radius, or 8 pixels in SDO imagery. How could I accurately isolate this thin region in SDO imagery, using only clever data manipulation? Two facts of physics helped me come up with a strategy. The first was knowledge that the chromosphere sits just on top of the photosphere, surrounding it like a thin wrapper covering a lollipop. 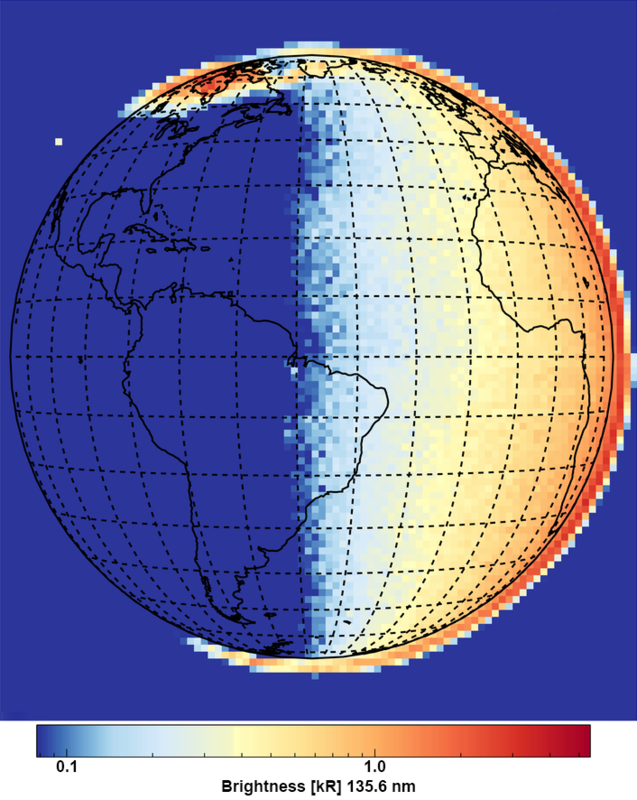 The second is that the chromosphere emits light in the ultraviolet range while the photosphere emits light in the visible range. I reasoned that the Sun should look slightly bigger in ultraviolet light (lollipop plus wrapper) than in visible light (the lollipop alone). If I could lay the ultraviolet image on top of the visible light image, those extra few pixels around the edges in the ultraviolet image would be the chromosphere. But it wasn’t quite that simple — just as visible light comes in a variety of different colors, so too ultraviolet light spans a range of different wavelengths. But SDO imagery easily demonstrated how radically different the Sun looked at different wavelengths. 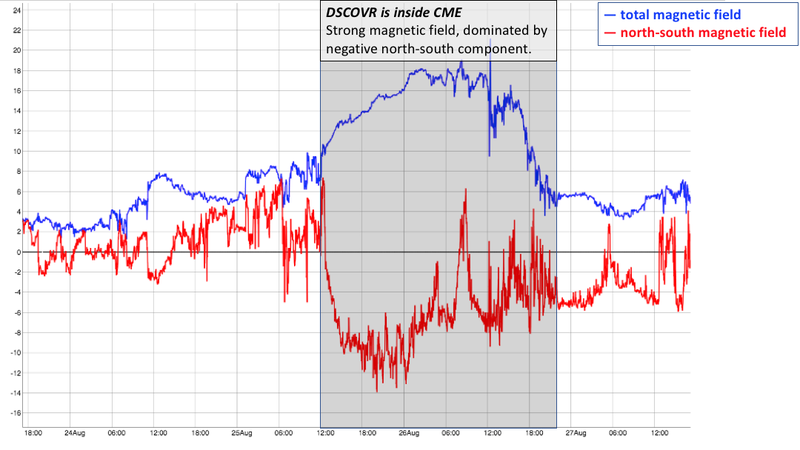 Which wavelength would most accurately identify the chromosphere? I really needed to test out a number of different ultraviolet wavelengths, laying them all on top of one another simultaneously to see what the differences were. The precise center of the solar disk in the images. If I wanted to overlay the images on top of one another, their centers had better line up. A consistent scale and orientation. If one image was tilted or more zoomed in, that wouldn’t do either. They had to match scales so any features in each wavelength matched consistently. But due to slight changes in the orientation of SDO and differences between its several telescopes, the solar images are not always perfectly centered or at precisely the same scale. When generating movies from individual telescopes, this difference is usually small enough to ignore. But this alignment was much more critical for a multi-image comparison. I needed to be sure that any differences between images could reveal the chromosphere, not the quirks of a spacecraft. It would take almost another year for a solution to those two issues to be found. The first turning point was the Venus transit in June of 2012, when the planet passed between the SDO spacecraft and the Sun. Watching Venus wander across the Sun’s disk in multiple telescopes, the researchers could see exactly where the planet appeared in each filter and thereby tune the image scale and orientation so they matched one another. These revised parameters were incorporated into SolarSoft — a software package under continuous development for over twenty years by the solar physics community, it is the industry-standard for analyzing data from Sun-observing missions. Now I could re-project the images to a consistent scale and orientation, enabling easier comparison. But the chromosphere was still just an 8-pixel sliver around the edge of the Sun. Inspiration from a colleague’s work would plant the seed of a solution. In February of 2013, another data visualizer in the SVS presented a draft of a visualization using multi-wavelength data from a new LandSat mission, later released here, where different wavelength filters passed over views of the ground. Here was a way to compare multiple wavelengths without overlapping them – instead, they are presented side by side as the object of interest passes beneath. It immediately caught my attention as an interesting technique. By the time IRIS’s observations began to roll in, I at last had the germ of an idea for revealing the chromosphere with a multi-wavelength comparison. To apply this approach to the Sun, the window would have to be circularly symmetric and rotate in a wheel-like fashion. I also needed a window that would work for comparing at least ten different images. It quickly became clear that each wavelength should be presented as a pie-slice out of an SDO image. For this to work, precise matching across the different images of the center of the Sun, and its scale, was important; fortunately, with the update to our solar data software from the Venus Transit, I had both of those. Then, using additional software, I was able to write a shader (a software component that maps what colors should be rendered onto an object in a 3-D graphics scene) that could select a pie-slice of a given angular size from the center of the input image and map it into the output image. By staggering these pie-slices with different wavelengths around a given image, I could lay them side by side. I also realized that I could control the positioning and width of these pie-slices for each frame of the visualization, allowing them to ‘march’ around the image of the Sun appearing to reveal the view in each wavelength. My first draft was a colorful wheel of solar imagery, which I titled SDO Peacock. A great beginning. Generating visualizations from such large amounts of data takes a lot of computer time. Each of the 5,200 frames required loading ten different SDO image files (34 MB each) before even beginning to do the additional color work and controlling which part of each image was visible. The first time I attempted a full movie, it took an entire weekend to process. For a first run, it wasn’t perfect, but it was a taste of what was possible. There were numerous data glitches in the resulting movie. Some were due to the occasional bad frame render, others due to buggy intermediate data files left over from testing. 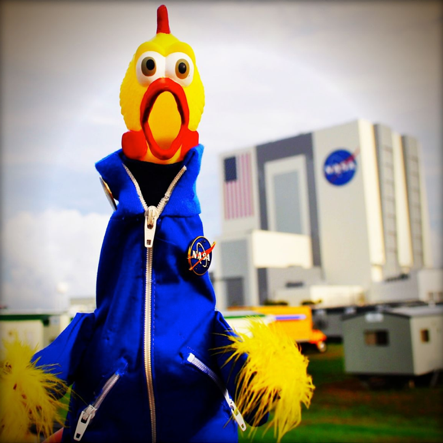 As the work continued, I began to feel a little strange about referring to it as a peacock — at the time, the SDO mascot was a rubber chicken called Camilla Corona, plus, as someone who grew up with the classic color peacock logo used by the NBC television network, it seemed a little awkward. After a little digging, I came across the story of Argus Panoptes, the creature from Greek mythology who not only had many eyes, but according to the mythology, retained a connection to peacocks. It somehow seemed appropriate. I shortened the name to Argo Sun and the name stuck. There were a number of small changes, edits and fixes over the next few weeks. Just prior to the main release, a short trailer was produced with a music track and the final version was released December 17, 2013 – a year and a half after I’d first started thinking about it. So just how well could you see the chromosphere with these SDO images? Adjusting the width of the filter wedges to much narrower angles and positioning them, it’s possible to generate an image zooming in to the solar limb for a view. The results almost generate more questions than answers. The fuzziness at the limb — along with irregularities created by solar features in the chromosphere and the way the limb brightens when seen in ultraviolet wavelengths — makes this boundary very difficult to identify. In the final analysis, I have to admit, the technique did not work great for showing the solar chromosphere on most displays. . . 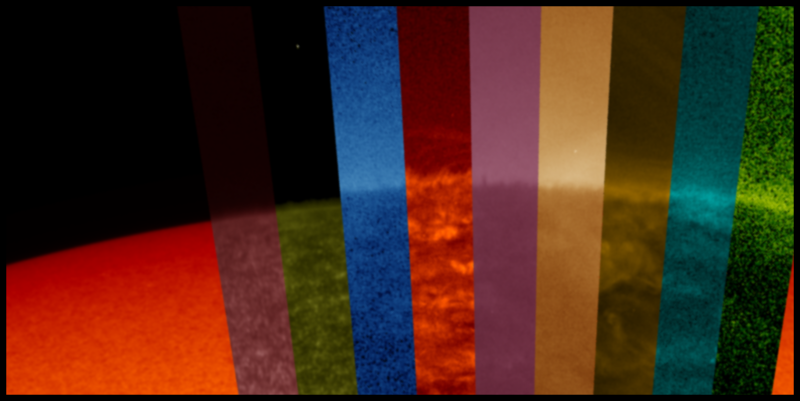 But the payoff was, nevertheless, a fascinating way to illustrate how radically different solar features appear in different wavelengths of light. 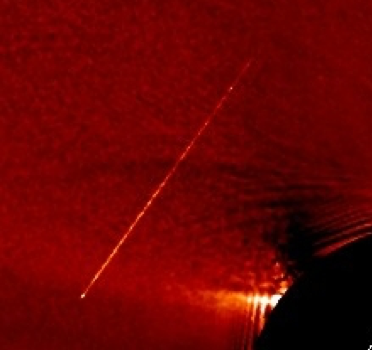 As each feature moves from one filter to the next, different features appear and disappear depending on the wavelength of light: filaments off the limb of the Sun that are bright in the 30.4 nanometers filter, appear dark in many other wavelengths and sunspots which are dark in optical wavelengths are festooned with bright ribbons of plasma in ultraviolet wavelengths. I’ve had several scientists tell me this is one of the best ways to illustrate WHY we observe the Sun in so many different wavelengths – and while that might not have been my original goal, it’s one of the reasons why it turned out to be a fantastic success. On December 3rd, 2018 the second Miniature X-Ray Solar Spectrometer, MinXSS-2, was launched. MinXSS-2 is a NASA CubeSat designed to study the soft X-ray photons that burst from the Sun during solar flares. Along the way, it may answer a long-standing mystery of what heats up the Sun’s atmosphere, the corona. Let’s explore the data from the CubeSat’s predecessor, MinXSS-1, and the science technique known as X-ray spectroscopy that it uses. Think of a prism. As white light passes through a prism, it’s split into its different wavelengths and you can see the rainbow. Visible light spectroscopy is often done in high school physics classes where light emissions from certain chemicals are divided and analyzed with a diffraction grating. When the light comes from a specific chemical, however, we don’t see the full rainbow – instead, we see tiny slivers of light from the rainbow, known as spectral lines. Hydrogen, for example, leaves four lines: one purple, one darker blue, one lighter blue and one red, making it very easy to identify. Every chemical leaves its own ‘fingerprint’ in the form of spectral lines. Spectroscopy uses them to work backwards and figure out the chemical composition of the material that produced the light. X-ray spectroscopy works very similarly to visible light spectroscopy, except the lines aren’t in the visible range. Instead of a prism, researchers use a small silicon chip that the photons pass through. As these photons pass through the silicon chip, they leave a charge behind; that charge is sorted into a bin based on the amount of the charge, which identifies its wavelength. If you think back to the prism analogy, the charges are the specific colors and the bins would be the type of colors. Pale blue would go in the blue bin, jade would go in the green bin. With enough photon charges sorted in bins, you have an X-ray spectrum that allows you to determine the chemical compositions of solar flares. Just as in visible light spectroscopy, in X-ray spectroscopy each chemical composition leaves a fingerprint of evidence: Different chemicals lead to different charge intensities. MinXSS uses these to determine the abundance of different chemicals present on the Sun. But the Sun isn’t just a homogenous mix of chemicals — rather, different layers of the Sun contain different chemicals, and scientists have a pretty good understanding of which chemicals are where. 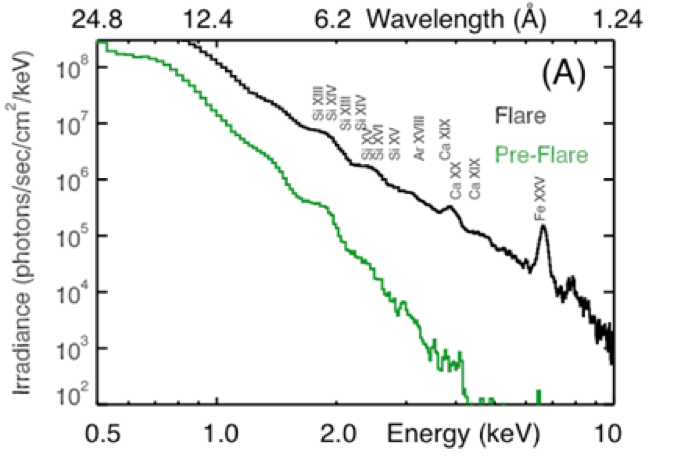 So, when MinXSS observes a burst of X-rays from a solar flare, researchers can look at the abundance, and the specific compositions, of the chemicals observed, and identify which layer of the Sun those X-rays seem to come from. This way, scientists can determine the source of the flare – and, in turn, help determine which layer of the Sun is causing those flares to heat the corona, the Sun’s outer atmosphere, to multi-million degree temperatures. Starting on the left side of the graph, the green dots all match typical coronal measurements — indicating the X-rays came from the corona. 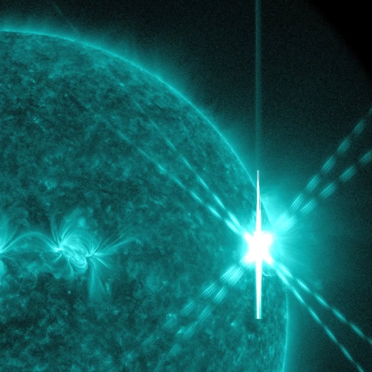 At approximately 2 a.m. on July 23, 2016, a M5.0 solar flare occurred. 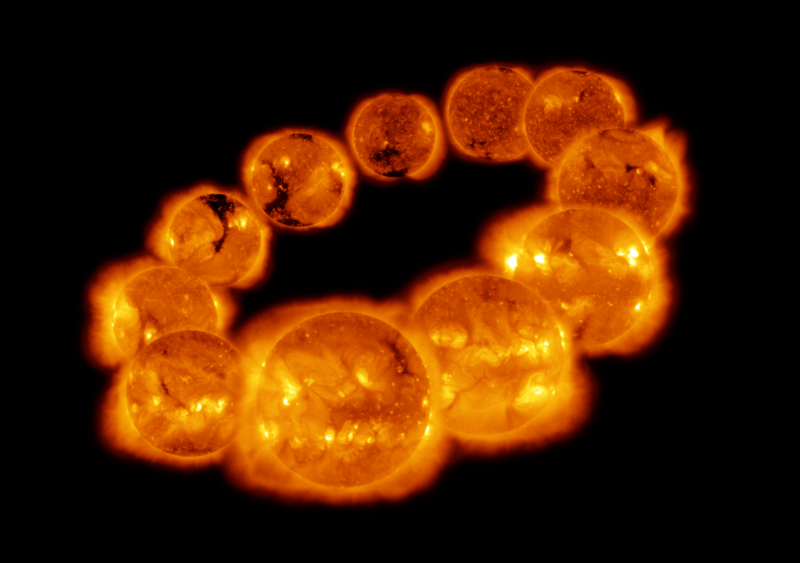 During the solar flare, the composition of the chemicals suddenly looks more like those that typically come from the photosphere — the visible surface of the Sun — rather than the corona above. This indicates that the source of the solar flare — and the heat it produced — came up from the photosphere. The following graph of the same event, also from MinXSS-1, looks at the irradiance of the X-rays, or the density of the photons over an area during a period of time. Here, we see a 200-fold increase in the irradiance that occurred during the flare. This graph has a lot going on, so let’s break it down. The vertical axis is the aforementioned irradiance, or the density of the photons over an area during a given time period. The bottom horizontal axis is the energy observed, and the top horizontal axis shows the wavelength that corresponds to those energies. 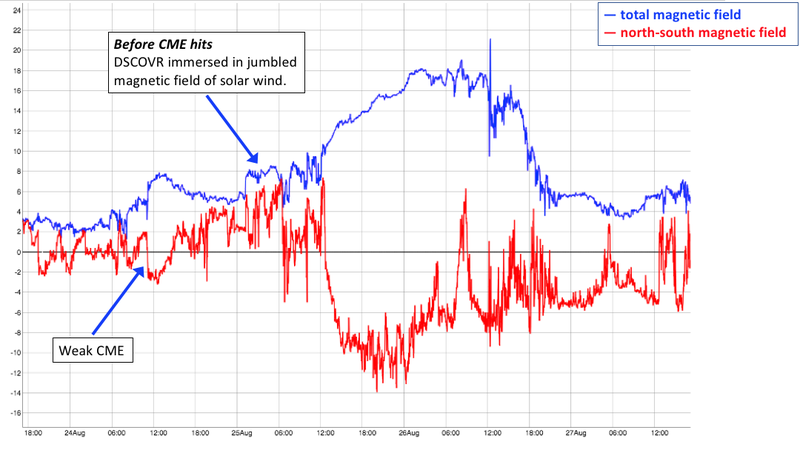 The green line is the observations of irradiance before the M5.0 flare, and the black line is during the flare itself. Along the black line, the chemicals that corresponds to the energy/wavelengths are also labelled. 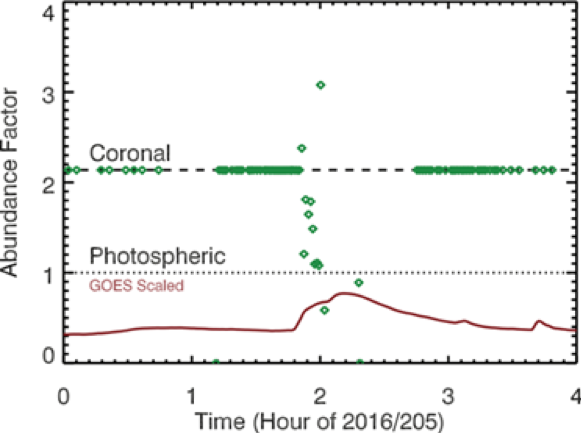 As this graph shows, once the flare hit, all of the measurements shift upwards from the green line to the black line: The overall irradiance of the X-rays increased by a factor of 200. 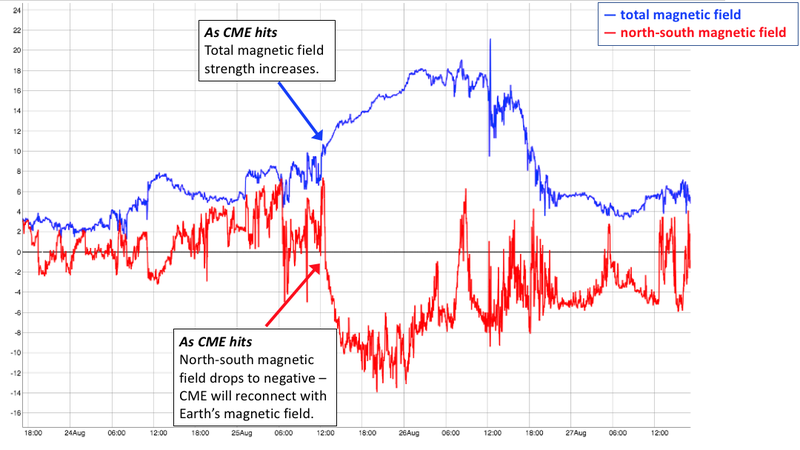 You can also see there are significant spikes at wavelengths/energies corresponding to Iron (Fe XXV), Silicon (Si) and Calcium (Ca), indicating that these chemicals played a large role in the solar flare, and the coronal heating it produced. Now MinXSS-2, the next generation of MinXSS spacecraft, has begun to take science data, with updated instruments that will give even more detailed data on the solar soft X-rays. You can follow along with MinXSS-2’s journey through their twitter, the MinXSS website or for even more science data dives keep an eye on The Sun Spot. Space isn’t silent. It’s abuzz with charged particles that — with the right tools — we can hear. Which is exactly what NASA scientists with the Van Allen Probes mission are doing. The sounds recorded by the mission are helping scientists better understand the dynamic space environment we live in so we can protect satellites and astronauts. 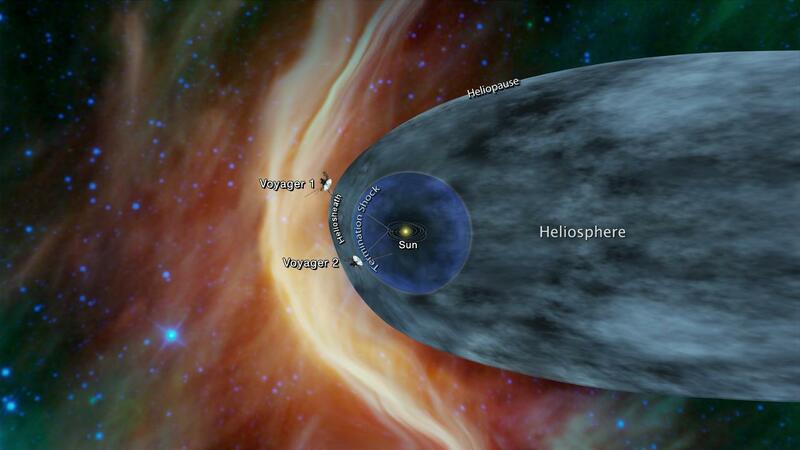 This is what space sounds like. To some, it sounds like howling wolves or chirping birds or alien space lasers. But these waves aren’t created by any such creature – instead they are made by electric and magnetic fields. If you hopped aboard a spacecraft and stuck your head out the window, you wouldn’t be able to hear these sounds like you do sounds on Earth. That’s because unlike sound — which is created by pressure waves — this space music is created by electromagnetic waves known as plasma waves. Plasma waves lace the local space environment around Earth, where they toss magnetic fields to and fro. The rhythmic cacophony generated by these waves may fall deaf to our ears, but NASA’s Van Allen Probes were designed specifically to listen for them. The Waves instrument, part of the Electric and Magnetic Field Instrument Suite and Integrated Science — EMFISIS — instrument suite on the Van Allen Probes, is sensitive to both electric and magnetic waves. It probes them with a trio of electric sensors as well as three search coil magnetometers, which look for changes in the magnetic field. All instruments were specifically designed to be highly sensitive while using the least amount of power possible. As it happens, some electromagnetic waves occur within our audible frequency range. This means the scientists only need to translate the fluctuating electromagnetic waves into sound waves for them to be heard. Effectively, EMFISIS allows scientists to eavesdrop on space. This video helps the scientists visualize the sounds coming from space. The warmer colors show us more intense plasma waves as they wash over the spacecraft. For these particular waves generated by lightning, the higher frequencies travel faster through space than those at lower frequencies. We hear this as whistling tones decreasing in frequency. These particular waves are an example of whistler waves. They are created when the electromagnetic impulses from a lightning strike travels upward into Earth’s outer atmosphere, following magnetic field lines. Below 0.5kHz (the very bottom of the graph in the video) the sound is filled with what are known as proton whistlers. These types of waves are generated as a result of lightning strike-triggered whistlers interacting with movement of protons, not electrons. Recently, NASA’s Juno mission recorded high frequency whistlers around Jupiter — the first time they’ve been heard around another planet. In addition to lightening whistlers, a whole ­­­­­menagerie of phenomena has been recorded. 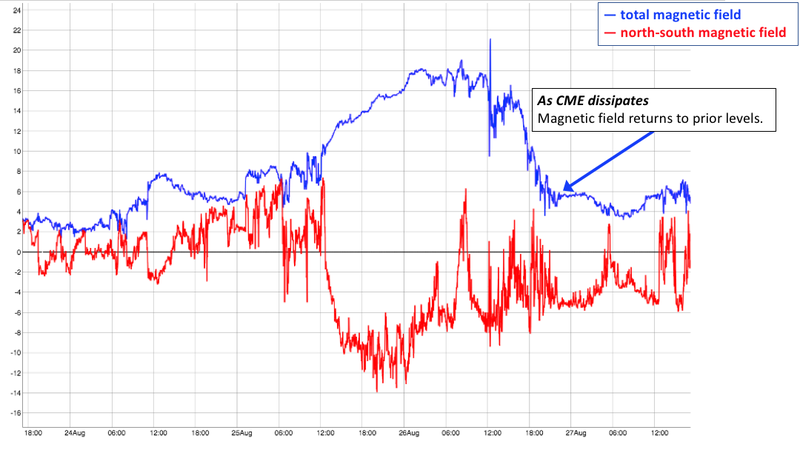 In this video we hear a whooping noise made by another type of plasma wave — chorus waves. Plasma wave tones are dependent on the way waves interact with electrons and how they travel though space. Some types of waves, including these chorus waves, can accelerate electrons in near-Earth space, making them more energetic. Here is another typical example of chorus waves. NASA scientists are recording these waves not for musical interests, but because they help us better understand the dynamic space environment we inhabit. These plasma waves knock about high-energy electrons speeding around Earth. 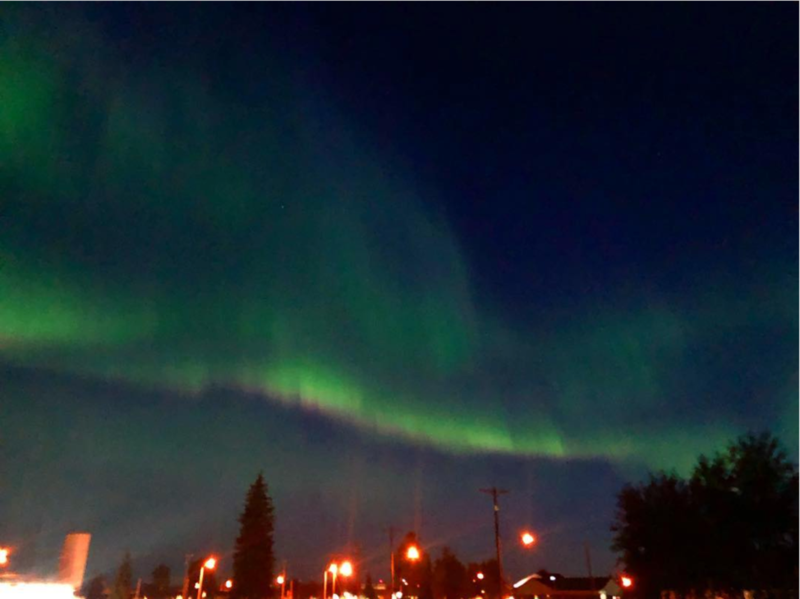 Some of those freed electrons spiral earthward, where they interact with our upper atmosphere, causing auroras, though others can pose a danger to spacecraft or telecommunications, which can be damaged by their powerful radiation. 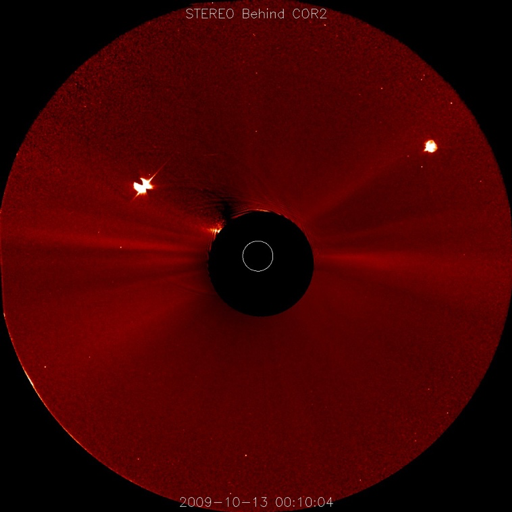 On Oct. 29, 2018, at about 1:04 p.m. EDT, Parker Solar Probe became the closest spacecraft to the Sun, breaking the record of 26.55 million miles from the Sun’s surface set by the Helios 2 in April 1976. But this is just the beginning. Parker Solar Probe — NASA’s mission to touch the Sun — will get closer still. This process is the result of carefully planned orbital mechanics, which will result in 24 passes around the Sun. Parker starts off in an orbit around the Sun which is the same as Earth’s – that’s where it starts, after all – and gradually moves to a position inside the orbit of Mercury. To do this, the spacecraft must slow down significantly (see Figure 1). 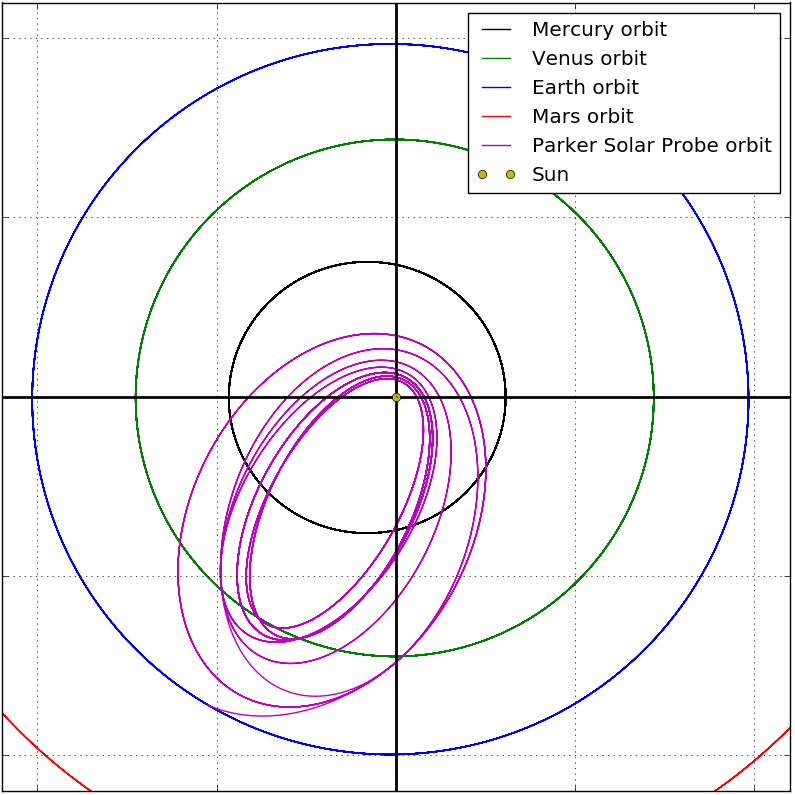 Figure 1: Parker Solar Probe orbit in the plane of the solar system. Parker orbit data from JHU Applied Physics Lab. Solar system orbit data from JPL/NAIF. One of the fundamental principles of orbital dynamics is that if you want to change the periapsis, or point of closest approach, of an elliptical orbit, you get the most bang for your buck if you change speed at the apoapsis, or the point when you’re furthest away. Figure 2: Parker Solar Probe orbit speed plotted with inner solar system planets for comparison. Parker orbit data from JHU Applied Physics Lab. Solar system orbit data from JPL/NAIF. The first thing you’ll notice is that the purple line is moving up and down quite a bit, indicating changes in its orbital velocity: Parker doesn’t travel at a constant speed throughout its orbit, but rather speeds up and slows down at different points. The little dots that appear at the spikes and the dips on the curve mark the times when Parker is either furthest from or closest to the Sun on each orbit. The aphelion positions, when Parker is farthest away from the Sun, are marked with red dots: Note that they coincide with the dips in the curve, when Parker has its slowest speed. The perihelion, or close approaches, are marked with green dots, and coincide with the spikes in the graph, where Parker is traveling fastest. Over time, you can see that the spikes get taller: Parker’s speed at perihelion gets faster and faster. Although the graph doesn’t directly show this, these increases in speed correspond to Parker’s perihelion moving closer and closer to the Sun: The closer it gets, more of the Sun’s gravitational energy gets translated into the spacecraft’s energy of motion, increasing its speed. Parker launched from Earth orbit with a speed of about 17 kilometers per second (38,000 miles per hour), slower than the orbital speed of Earth (about 29 kilometers per second or 65,000 miles per hour), enabling it to ‘fall’ towards the Sun. Accelerating in the Sun’s gravity, it reached a speed of over 95 kilometers per second (212,000 miles per hour) at the first closest approach. 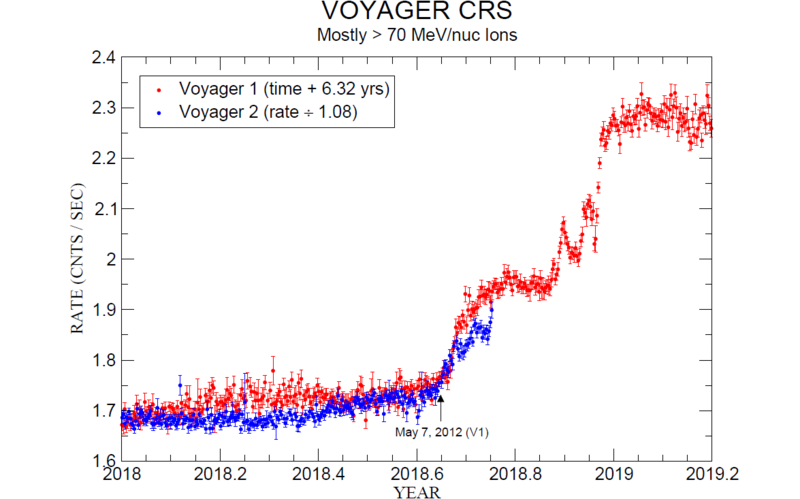 But looking at the graph, we see that Parker will go faster (and closer) still, its final orbit approaching over 190 kilometers per second (425,000 miles per hour). But how does Parker keep getting closer? Getting closer to the Sun doesn’t come for free — each shift in the orbit requires the help of gravitational assists from Venus. Note on the graph above that every time the spacecraft transitions to a higher speed at perihelion, or spike in the curve, there is a prior speed decrease near aphelion, or the dip in the curve, marked on the plot by a thicker red line. For Parker, these speed changes are accomplished with fly-bys of the planet Venus near Parker’s aphelion position. Unlike many gravity assists where spacecraft gain energy from sling-shotting around a planet, Parker is losing energy to Venus in order to slow down. By slowing down at aphelion, the orbit’s overall size decreases, which in turn increases the spacecraft’s speed near the Sun. 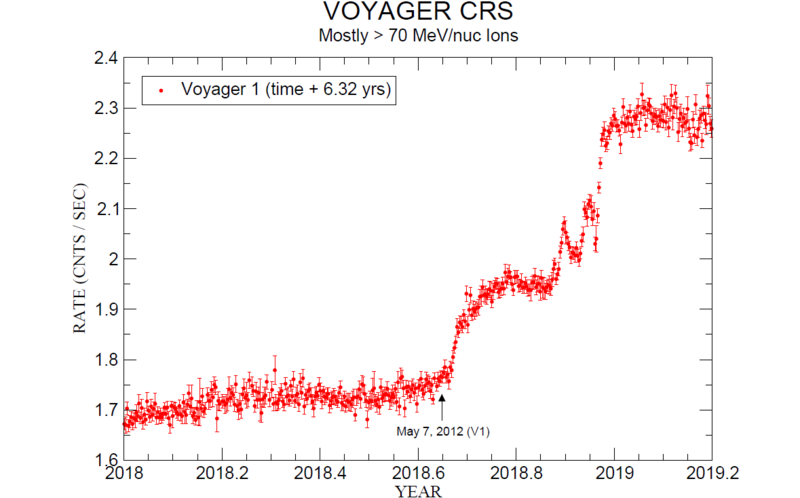 Parker doesn’t fly by Venus on every single orbit, it will only go past the planet seven times over the course of seven years – but you can spot the flybys in the graph by noticing a small jag in certain spots. 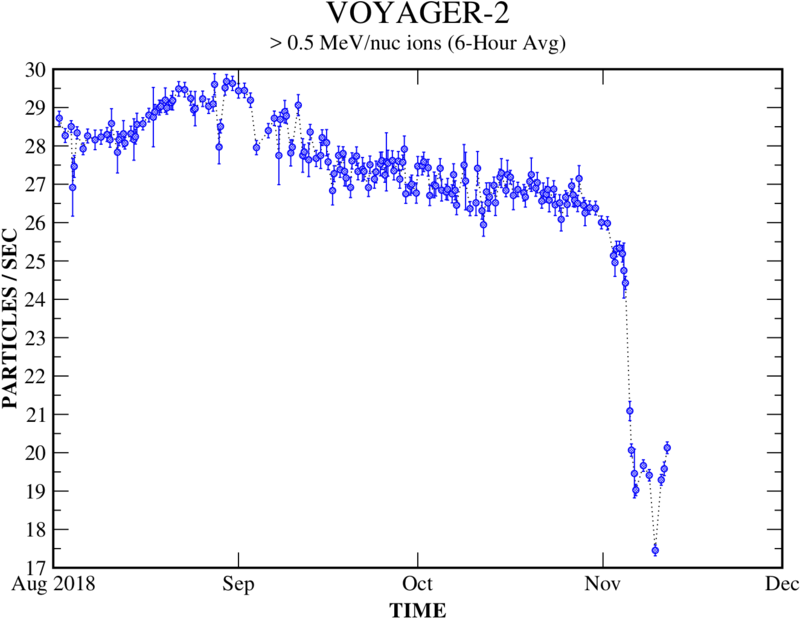 If Parker is accelerating towards the Sun — i.e., on the upward slopes in the graph, after the dip in a curve — the flyby appears as a little jag in the orbit, like the one just after October 2019 and October 2021. 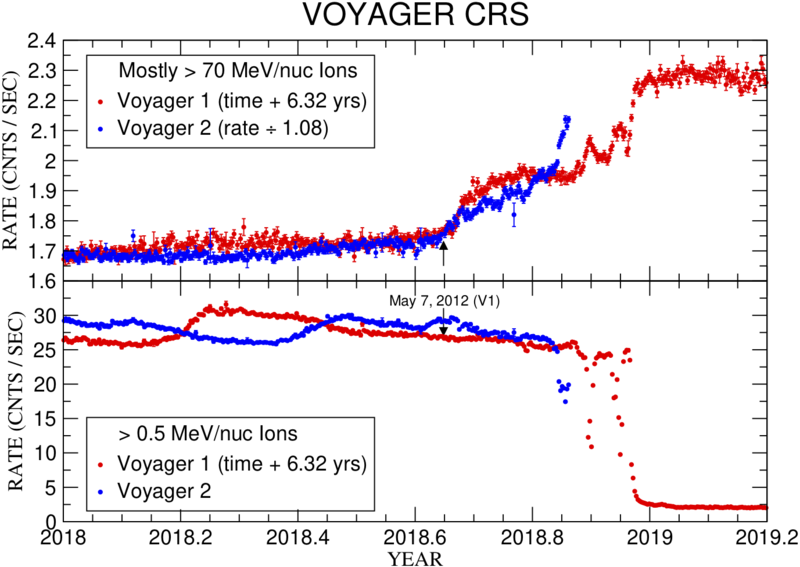 However, some flybys occur while the spacecraft is outbound from the Sun and decelerating, like the one near July 2020, which is a little less obvious in the plot. Each jag represents Parker moving just a bit slower, just a bit closer to the Sun – on each orbit gathering unprecedented, in situ observations of the star we live with.